The organisers of The National Running Show have confirmed ERDINGER Alkoholfrei as a sponsor of the UK consumer expo, which takes place on 20-21 January at Birmingham’s NEC. Five further exhibitors have also been announced for the new show that is billed as the event to attend for runners of all abilities and interests. 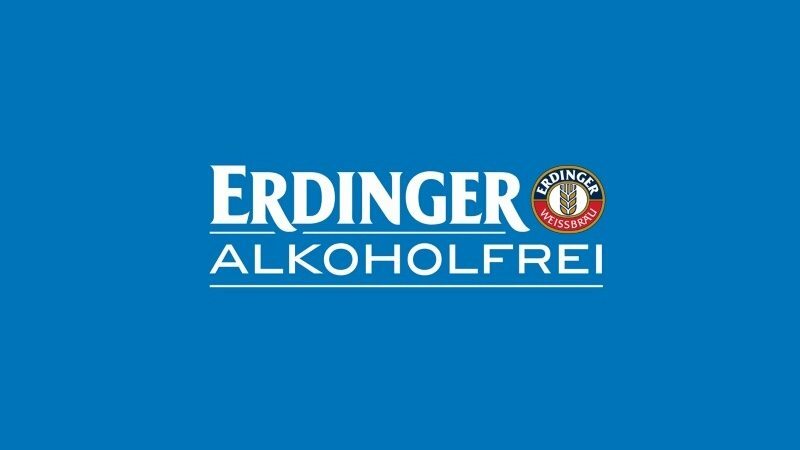 ERDINGER Alkoholfrei has come on board as a sponsor, joining a line-up of sponsors, partners and exhibitors already confirmed for The National Running Show. There is just one month until the doors open to this event that will see race organisers, sports retailers, sports brands, nutrition experts, official sporting bodies and communities gathered together under one roof. The organising team report that over 19,500 runners have already registered for tickets and the ‘show is on track to be a sell-out in its first year’. ‘Scientifically proven to be isotonic’, ERDINGER Alkoholfrei is a recovery drink of choice for many athletes and is seen to be relevant to runners visiting the show. Naturally brewed with only four ingredients, this thirst-quenching drink has a crisp, clean taste; it is packed with B-vitamins and minerals, which help the body to recover and fuel. It is also free from fat and cholesterol, low in sodium and contains only 125 calories per 500ml can/bottle. Joining the high-profile line-up of exhibitors at The National Running Show will be Hello Fresh, eGlove, Medal Miles, Longhaul and The Turmeric Co (Innate Essence Ltd). Mike Seaman, Director of Raccoon Events, said “I am delighted to welcome ERDINGER Alkoholfrei as a sponsor of The National Running Show in January. The drink is already a popular training partner and post-race drink at events across the UK, and is highly relevant to runners visiting our show. Hello Fresh is a leading recipe-box company in the UK, delivering recipes and all the ingredients needed to cook straight to consumers’ doors. The company’s mission is simple: ‘you choose from weekly recipes, they deliver fresh, pre-portioned ingredients, and you cook delicious dishes confidently in your kitchen’. The winter timing of The National Running Show is ideal for eGlove, which will be promoting its new 2017 Hi-Vis version of the award-winning eGlove Sport Run Glove. Targeted at all levels of runner, the technically superior touchscreen gloves allow for full movement, keep hands warm and dry and ‘enable pausing of a Garmin or Strava with gloves on, no matter how extreme the conditions’. Medal Miles rewards virtual running with medals in order to motivate runners of all abilities to get out and run. The company has a strong focus on health and wellbeing, and aims to take the pressure off competing in an organised event by allowing people to complete their goals in their own time, at their own pace, and wherever it suits them. The final two exhibitors bring the focus back to nutrition, starting with natural sports nutrition specialists Longhaul. Created by endurance athletes, Longhaul makes prolonged energy release fuels for runners so that they can perform better and for longer. The brand’s organic, savoury fuels are free from gluten, dairy, nuts, sugar and additives. Innate Essence created The Turmeric Company when one of its founders, Hal, had his football career threatened by injury. The Turmeric Company’s drinks offer ‘pain relief, reduced inflammation and a feeling of vitality’. Also confirmed as partners and sponsors for The National Running Show are some of the UK’s most trusted running brands and communities, including UKRunChat, Run Mummy Run, Running Heroes, The Great Run Company, Race Solutions, Xtra Mile Events, Impact Marathon Series, White Star Running, Ealing Half Marathon, The Running Awards, Oofos, Up & Running, Scimitar, Sports Injury Fix, Racecheck, Vibram, Hoka One One and Saucony, plus Cancer Research UK as Official Charity Partner. Media partners for the show include Men’s Running, Women’s Running, Sports Insight Magazine and Athletics Weekly.